Showing results for tags 'back pay'. Hi, Thank you for taking the time to look into my situation. I will try to keep this on point as best as possible. 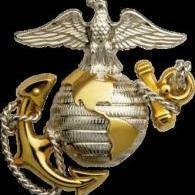 I was discharged medically (USMC) in January 1989. The medical board gave me a 10% service connected disability (compensable). After 6 months of being home, I received a follow up letter from Tampa VA. I attended this follow up, and the doctor who looked at me, said “oh you’re fine, I will bring that down to 0%”!! I was furious at how I was played by the system, so I began fighting the system (Congress, 2nd Marine Division, White House, you name it). I received a letter dated July 1992 from a VA Adjudication Officer, stating that they have reviewed by medical board examination from 1988, and found that I met the criteria, and therefore, I was given back the 10% compensable disability. I do not recall filing a claim during any of this time, and I believe all of my calls and mails (no access to email at time), were effective in resolving this. I never received a dime from the VA for anything. I have kept this letter all of these years, and just a few weeks ago, I found this in my strong box stored in my warehouse. After reading it, I decided to hit the trail again. I took it to the DAV locally, and he called the VA in my presence. After the call, he said that they confirmed that my disability was approved in May 1991, and stopped in March 1994. These dates were confusing, as my VA letter which originally confirmed the disability, was dated July 1992. As for why the disability ended in 1994, I have no idea. I have no records of appeals, denials, or anything of the sort. The DAV Officer said that according to his conversation, the VA would owe me from the date of May 1991 to March 1994, but I would have to fill out a Form 21-4138 (Statement in Support of Claim). On this form, all he said to write was (Statement that I never received compensation, and that I have no record of appeals). This is where my questions and concerns come in. If the Marine Corps medical review board determined this 10% disability in 1988, shouldn’t I be compensated from that date to the present? Again, I have no other records, other than the letter from VA Adjudication Officer dated July 1992. Overall, it is easy to see the roller coaster of events: 1988 - Medical Review Board approved discharge based on injury rating of 10% (Never received a dime of compensation) 1989 – Tampa VA follow up visit on injury (Doctor said I was fine, and dropped the 10% to 0%) 1991 – Apparent approval date conveyed by VA and DAV (I have no record of claim filed, other than memory of my calling and mailing everyone in the command structure to slap the VA for reducing my disability 6 months after my discharge) 1992 – Received letter from VA Adjudication Officer awarding a compensable 10% disability (based on medical review board findings in 1988) 1994 – According to feedback from DAV, the VA conveyed that I was awarded the 10% compensable disability in May 1991, but due to appeal, this was brought back to 0%. So if you look at the roller coaster of being approved, denied, approved, approved, denied, it is pure silliness. I find it hard to trust even the DAV, and I could be very wrong with that feeling, but because of how screwed up the VA is, I am worried that the DAV officer may be poorly directing the filling out of this Form 21-4138. Do you have any advice on what I should write on this form? I am trying to stay away from bringing an attorney into this, because they will take 20-30% of whatever is due. I have already been told that they owe me from 1991 to 1994, but my case is I feel they owe me from date of discharge to the present. Any helpful information you can provide on how best to fill out this form, would be greatly appreciated. Thank you. First thank you for creating this page. It's been a twenty years fight and reading these pages has made me feel for the first time I'm not alone in it. Active Army 88-92. Last six months in Egypt on a MFO tour. While there I got very sick. It was my last six months of service and ETS two weeks after returning to FT Drum. Six months after I got out started get sick again. Diagnosed with Ulcerative Colitis. Fought it for two years but lost and had my colon removed. Started developing other issues very similar to what they were calling Gulf War Syndrome. Applied for DC in 1997. I was denied do to lost medical records. Applied again in 2004. Again denied because of lost records. I had no new evidence to appeal and given up any hope. Family convinced me to try one more time this year. Just had my exam and they found my records. They made service connection. Now my question is, because they found service connection with my service records do I have case for cue going back to 1997 since they lost my records for twenty years? Also should I fight my rating first then go after the back pay? I'm not sure what to do next other than get an attorney. Sorry if this is too long and if this has been addressed already. I couldn't find a similar question or case. Appreciate any help or advice. I served in the military in 1996. During basic training I was injured. 1. I applied for disability due to the injury in 2000 and was denied then again in 2002. In 2002 I never received a letter stating the denial. I called several times and was told that I was denied. In 2016 I went back to apply because the back & neck injury that I received in the service is really server now. When I went to reapply the lady at the VA Hospital told me that I was NEVER denied. That I was just rated at 0%. She said that I should have been told whenever my condition got worse to apply for an increase. Since I never received a letter and I was told verbally by 2 different people that my case was denied can I appeal the decision that was made in 2002 or is the only recourse is to reapply. If I reapply can I get them to pay me back to when the condition got severely worse which is about 6 years ago? HELP, What should I do? I know I should not have waited this long but I also suffer from PTSD which causes me to limit my contact with people and because I had applied twice and was told both times that I was denied I did not have the strength to try again. If my condition had not gotten so bad that I can do nothing now I would never had gone back. I filed for disability benefits in Jan/13. Went for c&p exam Dec/14. Was awarded benefits at 40% in Feb./15 with back pay only dating back to Jan/13. I have fellow vets and battle buddies telling me I can file for back pay for the same injuries incurred in 03 in Iraq. Is this true? The reason for the gap between separation and filing is simply because I did not know I could file for VA disability benefits until a school VA rep told me so in 2012. I just want to know if compensation is still owed me and how do I go about obtaining it. The DAV in Indiana helped me file the first time. I was proposed to be incompetent, so I presented all the evidence possible to convince the V.A. that although my injuries are extensive; I am competent. I waited for about 1 1/2 years for the V.A. to decide that I am in fact able to handle may own affairs and rate me "competent". According to the letter I am rated as competent and I shall continue to receive my full payment. However, I have not received any back payment or retroactive payment. When I called the Hot Line they told me that it will take between 10-45days to process. It is now 97days later and I still have not seen any action taken by the V.A.. As I continue to call them, they state that I do rate a large sum for my retroactive pay but, no one knows who to contact. I am at a loss. I don't know who to contact to get this moving or why it is taking them so long. Does anyone have experience with this.....? I really just want to pay the bills that stacked up while I could not work and had no way of paying..... I am not trying to build a savings account. Please anyone advise. Initial Disability Claim Using Fdc Complete. Still Waiting On 1 Year Retro Pay. Question About Old Claims Can Someone Help? Hi I served three years in the Army from 2000-03 as a 11c with an honorable discharge. I ets from camp casey korea and had filled a claim during my exit exam for my left knee and left shoulder. Both were approved for tendonitis and i was rated at 20 %. At the time of my exam i also complained of lower back and hip pain on my left side. I belived it was due to my left knee. We were road marching and running a lot in korea, thats what the infantry does. In 2004 when i got my 20% rating for my knee and shoulder the claim for lower back and hip pain were deferred.Fast forward in jan 2013 i went to the county vso and had them help me file for an increase for my shoulder it has continually gotten worse. The claim took a year and at the end i was granted 30%. The weird thing is when i received my rating in the mail the old claims were addressed stating we see that your claims for lower back pain and hip pain in nov 2003 are unresolved, sorry for any inconvenience. Online on e benefits the claims for lower back pain and left hip pain just appeared one day and are in administrative review. Also online the claim date Changed now to 2013 instead of 2003. My question is what do i make of this what do i do?